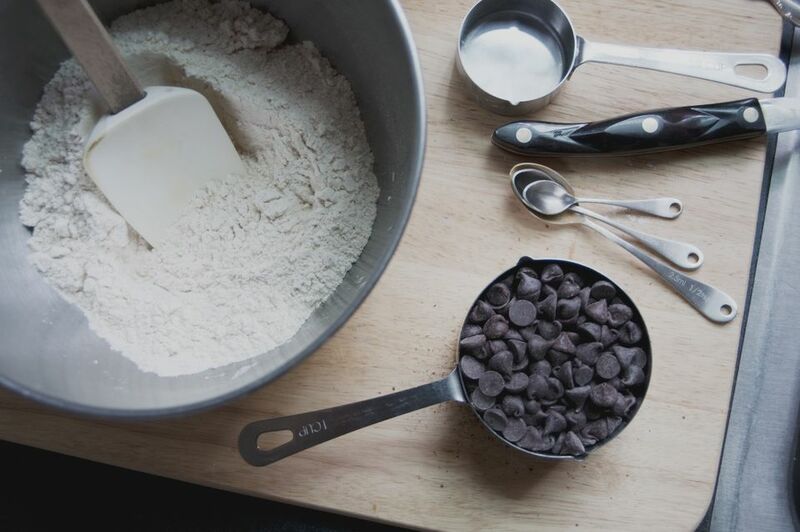 Choosing the right tools for cooking and baking is as important as choosing your ingredients. There are various measuring utensils on the market but which ones should you be using? Not all measuring cups are the same, and most often they can’t be interchanged. For optimal results, you’ll need to employ different utensils for different ingredients. When you’re cooking a dish, it is less important to be exact. Sometimes including your own dash of this or teaspoon of that helps in making the dish your own. I would still advise novice cooks to measure accurately and not wing it, but more experienced cooks may be comfortable eye-balling a spoonful of this or a cup of that. When it comes to baking though, it is important for all cooks to measure ingredients accurately in order to have a baked good turn out well. Although some recipes dictate ingredient measures by weight, the majority of recipes you’ll find in North American cookbooks list ingredients in teaspoons, tablespoons, and cup divisions. Personally, I’ve noticed that many European recipes list ingredients by metric weight, as my Portuguese aunt does for her baking. This feels completely foreign to me, so I convert her measures into the imperial ones that I’m used to and the results are usually satisfactory. Don’t allow the measurements to sway you from attempting a new recipe! Online conversion tools make it easy to revise them to your liking. Think of your ingredients as wet versus dry. 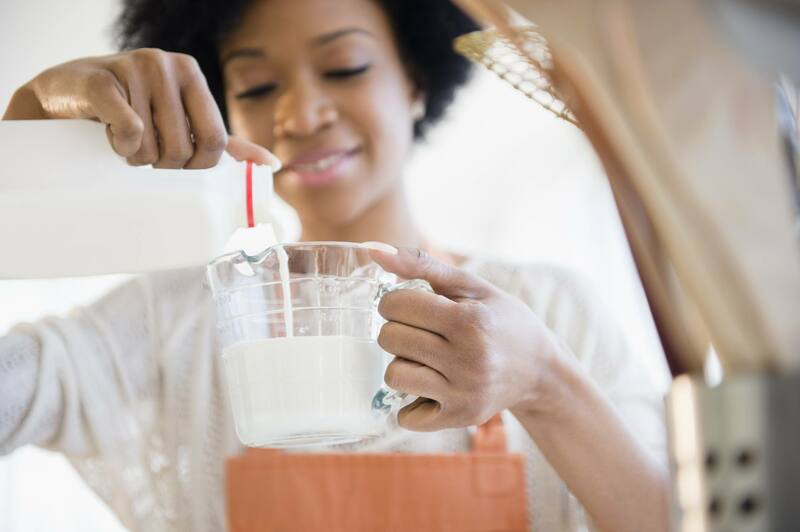 Things like milk, yogurt, apple sauce, honey, melted butter, and water are all examples of wet ingredients. Items such as chopped nuts, flour, baking soda, and chocolate chips are examples of dry ingredients. Why does this matter? They are measured using different types of measuring cups. To accurately measure wet ingredients, set the glass measuring cup on the counter. Pour or spoon the liquid ingredient into the cup while checking the level on the side of the glass. The transparency of the glass ensures accuracy. Dry measuring cups come in all shapes, sizes, and forms. You can find dry measuring cups in metal, ceramic and plastic. They are usually sold as a set that includes a third of a cup, a quarter cup, a half cup, and a full cup measure. To measure a dry ingredient, fill the required cup to the top. Do so by dropping spoonfuls of the ingredient into the cup. Do not scoop the ingredient using the cup as this will compact it. Do not push down. Level off the dry ingredient by gently swiping the edge of a knife across the top of the cup. The one exception to this is brown sugar. You’ll notice that recipes will call for packed brown sugar, which means that you would fill the cup, pack it down, and continue to do so until the cup is full. When aiming to eat sugar-free, keep in mind that there are many delicious alternatives to brown sugar. Brown sugar is the same as white sugar. It is white sugar with molasses added to it for color and flavor. It offers no nutritional value and contributes to inflammation, imbalanced blood sugar and obesity, just as white sugar does. Read more about the benefits of eating sugar-free to understand its impact on health. Measuring spoons are used to measure teaspoons and tablespoons of ingredients. They also come in a wide variety of shapes and materials. Note that measuring spoons are used to measure both wet and dry ingredients. You can find flat-bottomed spoons that allow you to sit them on the counter. Traditional measuring spoons are rounded and are usually sold as a set. Most sets include a 1/8 of a teaspoon, a 1/2 teaspoon, a 1 teaspoon, 1/2 tablespoon, and 1 tablespoon measures. These can vary, depending on the set you purchase.